Earth's crust is like a giant cracked egg. Each crust piece is called a tectonic plate and it moves. The plates interact with each other at the edges. Several different kinds of interactions exist. In some places the edges come together, in other places they pull apart, and in still others, the plates slide past each other. All this interaction creates many different landforms. The deepest landforms on Earth are the trenches in the ocean. These landforms are created when one plate slides underneath another. This action is known as subduction. Some tectonic plates are much heavier than others. The heavy plate slides under the lighter plate. The edge between the two plates formed by this interaction is a deep trench. One of the most famous trenches is called the Marianas Trench. As the Philippine plate slides underneath the Pacific plate, the deepest trench known on Earth is continually formed. Volcanoes and ridges are landforms that are created by the movement of tectonic plates. Some volcanoes are formed when the plates pull apart under the ocean. A crack in Earth's crust forms. Magma rises through the crack, forming ridges. One example is the San Juan Ridge, a wide area of young volcanoes. Other volcanoes are created when a tectonic plate slides under another. As the bottom plate is heated up by the Earth's hot mantle, a material called magma forms. It rises. Over time magma erupts through the plates. 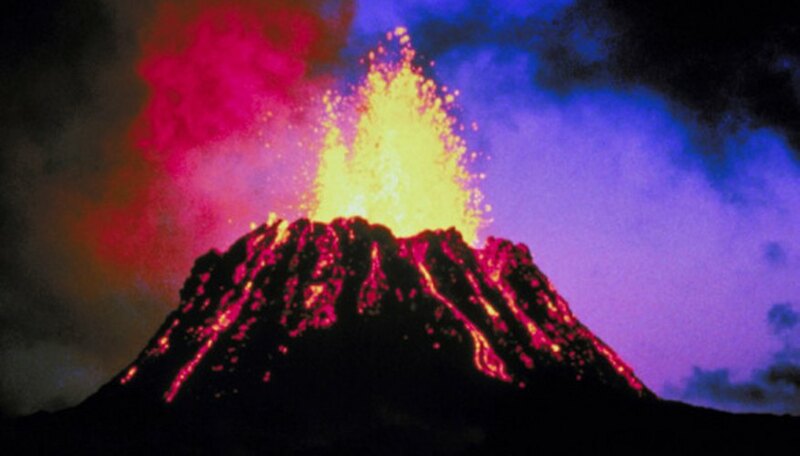 Many such volcanoes are found on "the Pacific Ring of Fire." Another kind of landform is created by of the interaction of Earth's plates, and is related to the formation of volcanoes. Volcanoes under the ocean can lead to the formation of islands. These volcanoes are the kind produced by one plate sliding under the other. The erupting volcano adds enough material to itself to rise above the ocean's surface. Because the surface of the Earth is curved, the resulting volcanic islands are always found in arcs. The Philippine Islands, Aleutian Islands and Japan were all created this way. Seashell fossils are found at the top of the Himalayas. This mystery is solved by looking at tectonic plate interaction. Huge mountain ranges are formed by similar-sized plates colliding. In this case, one plate does not slide under the other. The pressure of the two plates has to be relieved and the way this happens is by thrusting the colliding plate's edges upward. 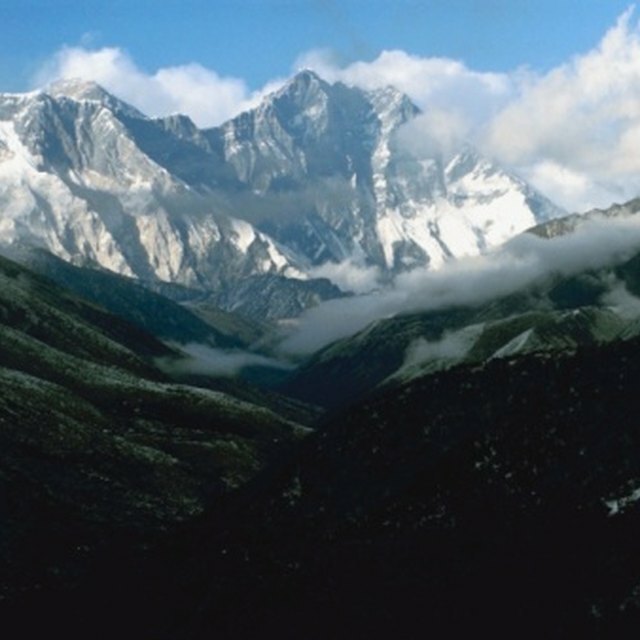 Land folds, bends and twists in the collision zone and mountain landforms rise.The Himalayas are the result of this type of collision. USGS: "Ring of Fire", Plate Tectonics, Sea-Floor Spreading, Subduction Zones, "Hot Spots"
Blaisdell, Molly. "Landforms of Plate Boundaries." Sciencing, https://sciencing.com/landforms-plate-boundaries-8383324.html. 24 April 2017.